Gerben-Jan Gerbrandy has been a member of the European Parliament in the Alliance of Liberals and Democrats for Europe group since 2009. He is a politician from the Dutch liberal party ‘Democrats 66’. What is the biggest challenge facing the environment? How can we tackle it? ‘The biggest challenge is over-exploitation of natural resources. Human consumption goes beyond the natural boundaries of our planet. Our way of life, more specifically the way we run our economy, is simply not sustainable. The world population will reach nine billion in a few decades and will need 70 % more food. Consequently, a second challenge is to find ways to feed our growing population when we already face scarcity of many resources. Can we truly change the fundamentals of our economy? ‘We are working towards that. I think we are very close to finding ways to include the full value of natural resources in the economy. But more importantly, three drivers are forcing industry to become much more resource efficient. The first is scarcity of resources. We are actually observing what I call a ‘green industrial revolution’. Resource scarcity forces companies to set up processes for resource recovery and re-use, or look for other ways to use resources efficiently. Consumer pressure is another driver. Look at advertisements. Big car manufacturers don’t talk about speed anymore but about environmental performance. Moreover, people are much more conscious about the image of the company they are working for. What is the most important factor determining consumer choices? ‘It is definitely price. For large segments of society, it is a luxury to choose for any reason other than price. But it is still possible to choose to consume seasonal and local food products, or fresh products, and often they are even cheaper. There are clear health benefits for those individuals and for society as a whole. Choosing a more sustainable option depends on infrastructure as well as people’s awareness of their impact on the environment. If there is no public transport infrastructure, we cannot expect people to stop driving to work. Or in the case of legislation, if we cannot explain the value of certain rules or laws, it would be almost impossible to enforce them. We need to involve the people and convince them. What would make the Rio+20 conference a ‘success’? ‘We need concrete results, such as an agreement on a new institutional framework or specific targets on the green economy. But, even without concrete results, the conference can become very influential. I am very much in favour of the creation of an international court for environmental crimes or an institutional setup that would prevent the type of deadlocks we experienced in recent rounds of environmental negotiations. Regardless of progress in establishing such institutions, just the fact that we are discussing and trying to find joint solutions is already a huge step forward. Until recently, global environmental negotiations divided the world into two: the developed and the developing countries. In this context, could Europe help the developing world? ‘The green economy concept is not only relevant to developed countries; it actually foresees a longer perspective. At the moment, many developing countries are selling their natural resources at very low prices. Short-term prospects are tempting, but they could also mean the countries are selling off future welfare as well as growth. But I think this is changing. Governments are becoming more concerned about the long-term implications of resource exports. 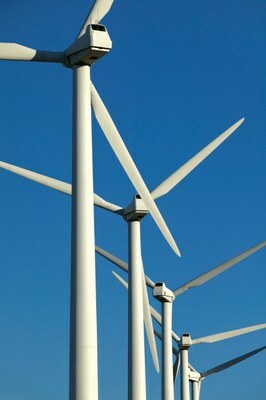 Industry in many developing countries has also started investing in sustainability. Like their counterparts in the developed world, they face resource scarcity. This is a very strong financial incentive for companies all over the world. For my part, I think we could help by opening our agricultural markets and enabling these countries to generate more added value. At the moment, foreign companies come and extract resources and there is very little economic input from the local people. As a European citizen, what does ‘living sustainably’ mean to you? ‘It means a series of small things, such as putting on a sweater instead of turning the heat up, taking public transport instead of driving, and not flying if possible. It also means making my own children and others aware of the concept of sustainability and the impacts of their day-to-day choices. For references, please go to https://www.eea.europa.eu/signals/signals-2012/interviews/a-european-view-on-sustainability or scan the QR code.